You can still register at the packet pickup at Scheel's (today from 11-6pm) or before the run in the morning! 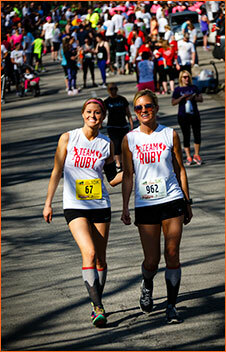 ​Join us Saturday, April 13th as we run for the babies! Proceeds from the Little Miracles 5K will help build the remodeled brand new NICU (Neonatal Intensive Care Until)for premature and critically ill babies at St. John’s Children’s Hospital. Please come join us for this great fundraising event! $25 Youth - Ages 9-17 - Free for 8 years and younger (does not include a t-shirt). Please register by April 1st to guarantee a shirt! Make it out to our Pre-Packet Pickup and Registration Party the day before the race and be ready to go before you arrive at the run! It will be a great opportunity to get any last minute items for the run, with Scheel's amazing selection of apparel, shoes & gear for sports & outdoor recreation!